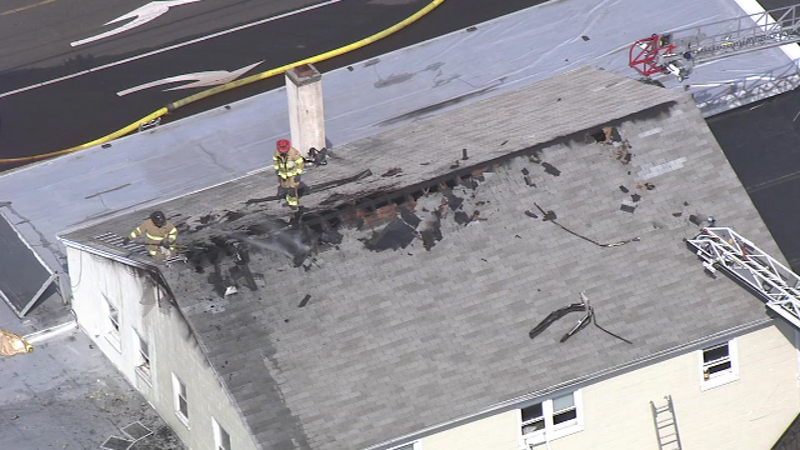 Video from Chopper 6 HD showed multiple police and firefighting units on the scene. CHALFONT, Pa. (WPVI) -- Firefighters battled a blaze at a business in Chalfont, Bucks County. The call went out at 9:17 a.m. Monday for a fire at Chalfont Hardware in the 200 block of East Butler Avenue. Firefighters battled a blaze at a business in Chalfont, Bucks County. Initial reports indicated the fire broke out on the second floor of the building and spread to the roof.